We’ve seen an add-on that turns ink printers into circuit board printers, and even a 3D printer that specializes in printing circuits. 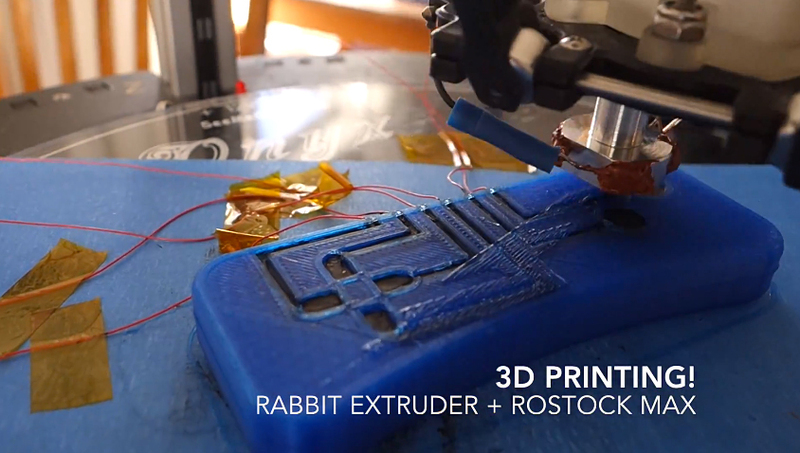 A new company called Rabbit Proto takes prototyping to the next level with its eponymous product. It’s an add-on for 3D printers that lets you add conductive traces to an object while it’s being printed. You can pre-order Rabbit Proto for $350 (USD). It comes with one syringe of conductive ink. You can also get a Rabbit Proto dual-extrusion add-on – the syringe plus a filament extruder – for $450 or a whole 3D printer equipped with the dual extrusion add-on for $2,499.